Next up on our Song-By-Song preview is the official entry from Estonia, “La forza” by Elina Nechayeva, written by Ksenia Kuchukova, Mihkel Mattisen, Elina Nechayeva, and Timo Vendt . The song is performed in Italian. Singer Nechayeva is a well know operatic soprano, educated in both France and Estonia. 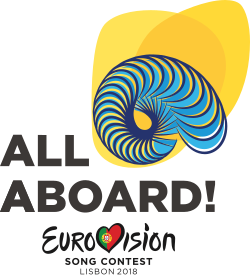 The song will be performed 9th in the competition order on the first semi-final on May 8. Estonia made its EuroVision debut in 1994, taking part in 23 contests to date. They have one Grand Final championship under their belt as well, with 2001’s “Everybody” by Tanal Padar, Dave Benton, and 2XL. They failed to qualify for the Grand Final in 2017.